Although Antonio Gaudí was born in Reus, he moved to Barcelona in 1868 were he completed his architecture studies in 1877 and developed his career. 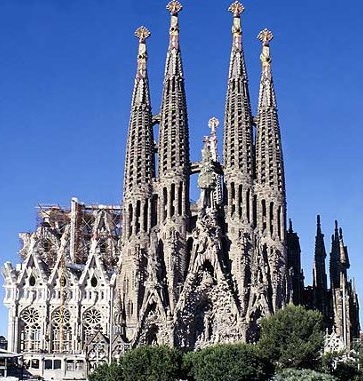 Antonio Gaudí is considered a genius today, however did not escape critism. One of his masterpieces, the Casa Milà was hugely critisized at the time. Eusebi Güell, future Count of Güell, was a huge influence on Antonio Gaudí‘s work as he financed some of the most important of Gaudí’s works (Palau Güell, Colonia Güell, Parc Güell, …). Construction started on 1882 and it is still under construction. 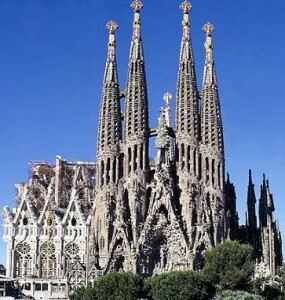 Sagrada Familia was added as one of the UNESCO World Heritage Sites and in 2010 was consecrated by Pope Benedict XVI. First important work of Antoni Gaudi. Built between 1883 and 1889. Antoni Gaudí died in 1926 ran over by a tram. His body was buried in the crypt of the Sagrada Familia. What is the best way to get to Park Guell from city centre? The best way would be to take bus 24 from Plaça Catalunya. There is an stop at the main door of the Park. Alternatively you can take the Metro and then walk uphill for for 15/20 min so I would recommend the bus.